Entry into the gloomy blue green world of the glacier’s innards was a fascinating experience for a 9 year old boy, however the sudden creaking and groaning sound of the glacier’s constant downhill motion combined with my recent view of the many blocks of ice strewn for thousands of feet down the mountainside below, gave me an overwhelming desire to run back down the ice tunnel towards the distant daylight. 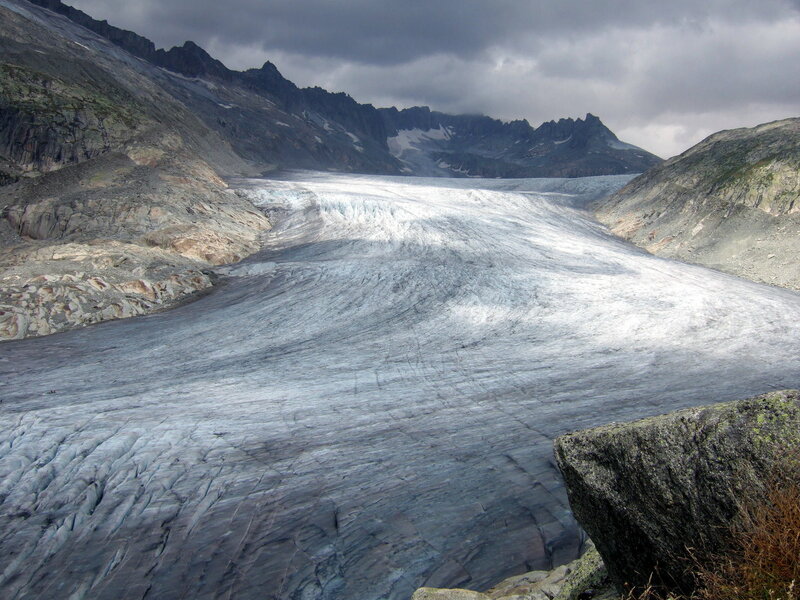 Dad and I had driven up to the Rhone Glacier while Mum and Gill – my younger sister – had remained in the village of Gletsch back down in the valley. 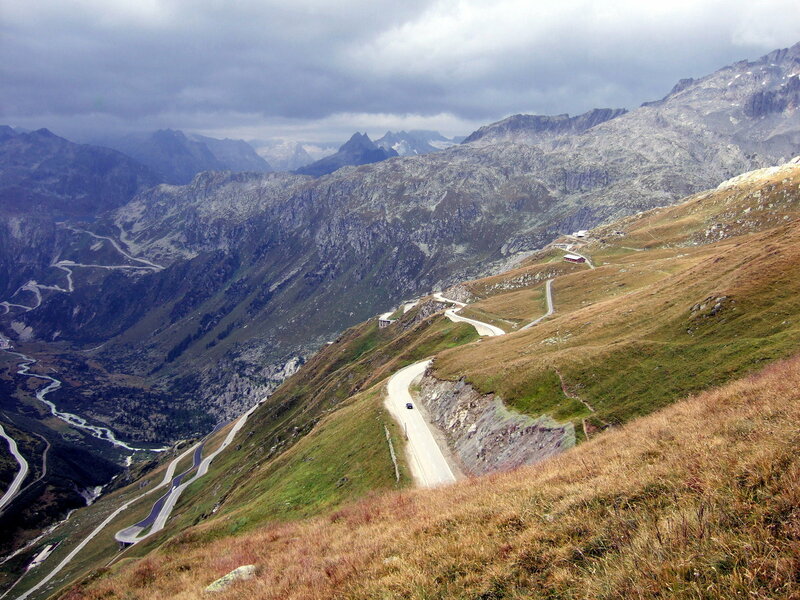 Mum had enjoyed the dizzying hairpin bends of the Grimsel Pass about as much as I enjoyed school swimming lessons and there was no way she was crossing any more passes in the next 3 years or so. 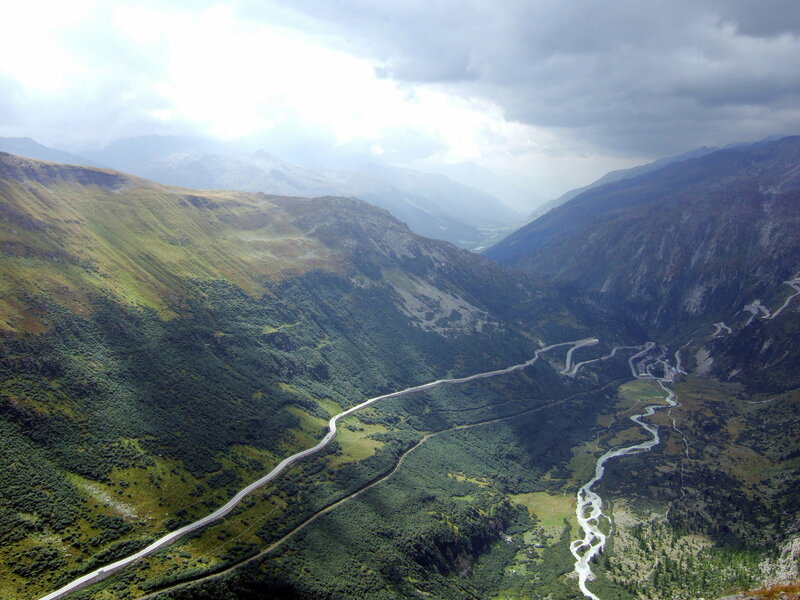 Today the Grimsel Pass was pretty much as I remembered it – a wide open area of bare rock and short grass with flocks of tourists taking photos of their cars in the car park. I didn’t have a car so I took one of the mountains of the Gotthard area seen across the lake as I thought this preferable to a photo of the bus. Several paths lead off from here and I followed the one a little way towards the Sidelhorn which is a peak accessible from the pass but there wasn’t time to go far. I’d get my planned walk in soon anyway from Gletsch up to the Rhone Glacier. 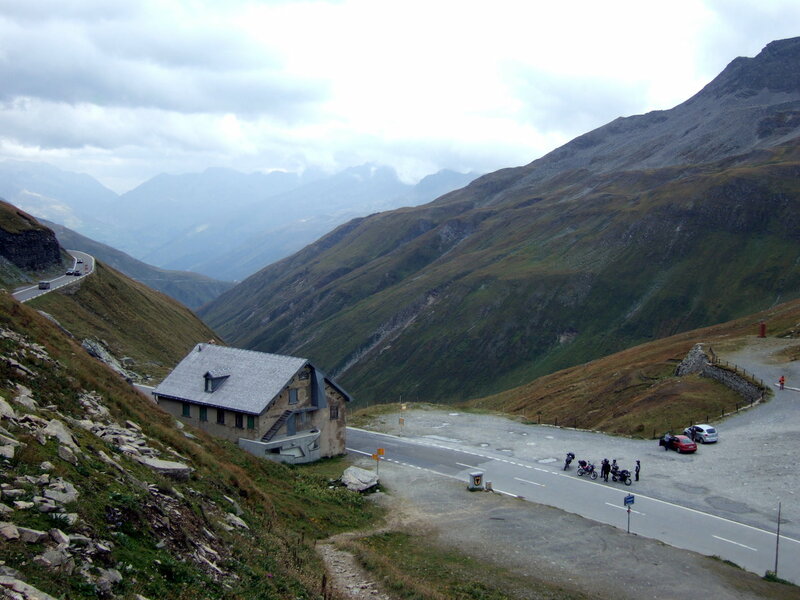 I headed back towards the bus for my journey down the hairpins to Gletsch 400 metres below. Gletsch too was little changed from when I was last there. 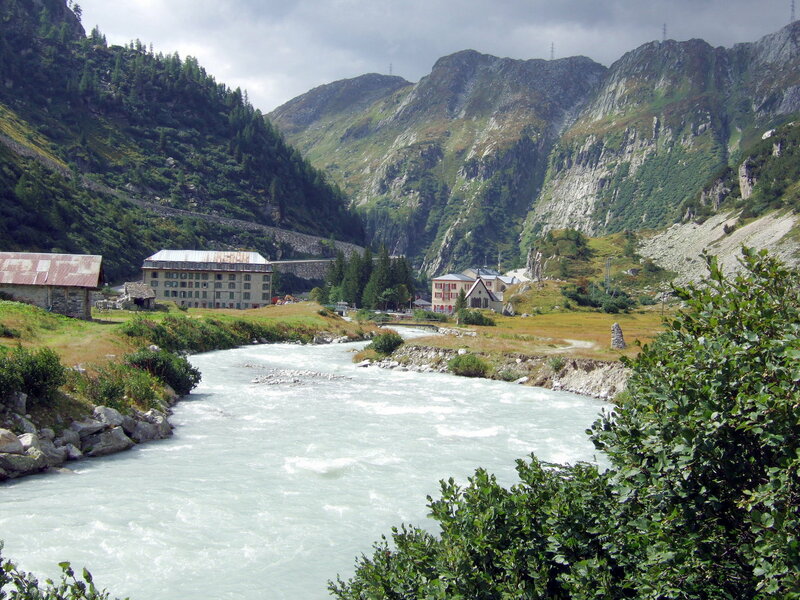 The Hotel Glacier du Rhone is the most obvious feature of the village and the steam railway known as the Furka Dampfbahn is still operating though the booking office is closed when I arrive. Also the road still swarms with motorbikes and sports car drivers testing their machines to the limit of their ability and filling the air with the acrid stench of burning brake pads and the acidic oxides of nitrogen. Gletsch’s best feature is the chapel just beyond the hotel car park and it’s there I head first. The windows at the far end look onto the stark grey crags walling the valley below the Rhone Glacier and the Galenstock Mountain. The glacier itself is the one thing that has changed – almost certainly due to global warming – you can now barely see the ice. Thirty years ago it overhung the rock walls and in 1818 according to a marker just beyond the church, it would have filled the view from this point. Meanwhile the engine merchants continue to add to the problem as I wander off away from their noise along the banks of the fast flowing Rhone where the river crosses a partly wooded wetland area between the village and the glacier. As I am about to set off to walk up to the Furka Pass I call in at the tourist information office to check the route as there appears to be no sign of it anywhere. The route is apparently closed – whether flooded or washed away I am unable to ascertain, but the guy in the tourist information office assures me that it is impossible to walk to the pass from here. The only advice he does offer is that I drive up. OK then I’ll just pop back 800 miles to England for the car then shall I? This guy’s in the wrong job! Far more helpful, despite speaking less English – none at all in fact – is the chap in the booking office for the steam train where I enquire about trains to Realp on the far side of the pass. We manage to establish that though there are no trains in the direction I want – a bus will leave Gletsch at 12 40 which is later than I intended but needs must! 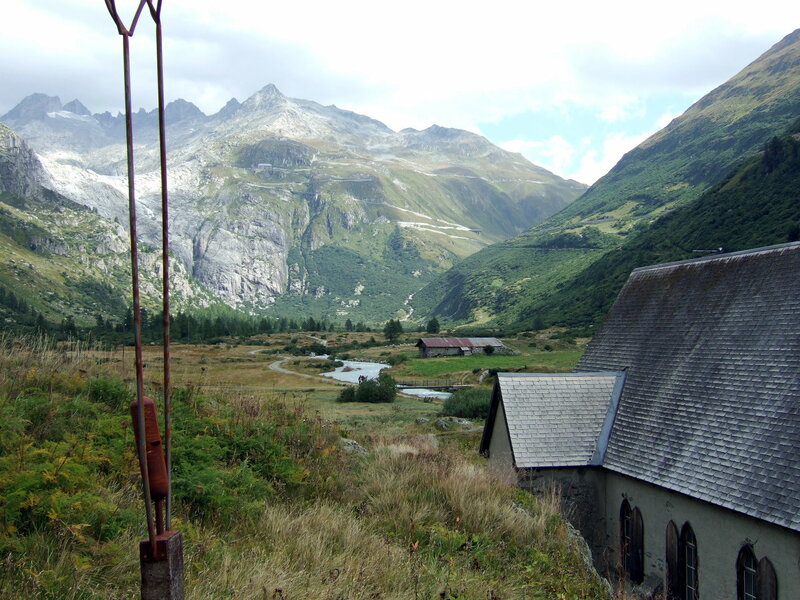 He provided me with a bus timetable and a sheet on the hiking trails of the Furka Pass. Hang on – that’s the tourist information office’s job isn’t it? The yellow post bus slowly climbed the sweeping curves and hairpins of the road on the mountainside above Gletsch. So steep and narrow was this valley that the Grimsel Pass on the opposite side appeared to be part of the same road we were on. High above the valley we reached the Belvedere Hotel near the end of the Rhone Glacier. The bus stops here for just over an hour before heading on to the Furka Pass at 2431m and Andermatt. If I got a move on I’d have enough time! A brief look at the visitor centre was enough – horribly commercial and busy – so off I set up the stony path above the road. The view of the Rhone Glacier improved as I got higher up the path, a vast flat expanse of ice extending far into the cirque of rocky peaks which are topped by the 3630m Dammastock. The glacier is the source of the River Rhone which flows all the way to the Mediterranean near Marseille while these mountains are the geographical boundary between northern and southern Europe – the rivers on the far side end up in the Rhine and ultimately the North Sea. I followed the steep track higher above the icy expanse of the glacier and after a short while emerged on a grassy shelf high above the Furka Pass road. From here there were wonderful views down the valley of the Rhone and over the rocky saddle of the Grimsel Pass where the shadowy peaks of the Bernese Oberland rose in a jagged line of dark teeth and white snowfields. Their higher summits were cut off by a flat grey ceiling of cloud as a front moved in from the west – I was racing the weather as well as the bus! Turning my back on the vista of valley, peak and glacier, I set off along a much easier path to emerge in a more level grassy area in front of an apparently disused military installation. The place was built of concrete and stone and set into the very rock of the Alps themselves. Dark empty windows surveyed the vista down the Rhone Valley thousands of feet below and the place had the aura of the Hall of the Mountain King – either that or the set for a James Bond movie. It appeared to date from the WW2 era or the fifties but I was subsequently unable to find out its purpose. For some reason I was keen to get away from this fortress and as I hurried past its dark sightless windows I had visions of soldiers emerging to spirit me away to a huge underground hall with walls lined with maps and TV screens where Bond’s latest adversary was plotting to take over the world. OK perhaps an over active imagination at work there but if I didn’t get a move on I would miss the bus to Andermatt! The path led on across a shelf in the mountainside with spectacular views of the 2 passes below and the Rhone Valley – a deep trench cutting through the high mountains. Approaching the Furka Pass, the path climbed again slightly and rounded a steepening slope with the road perhaps a hundred feet down on my right then there was a fence on the ridgeline and the view down the Ursental Valley towards Andermatt. Ahead was Northern Europe again as I had crossed the Alps for a second time today, the watershed of Europe following both passes. Ahead the path led down a short way to the summit of the Furka Pass where, after surprising some Czech tourists who hadn’t a clue where I’d just appeared from, my bus duly arrived. This side of the mountains, although the Furka is the higher of the passes at 2431m, is of a less harsh nature than the Haslital and the Grimsel and if it hadn’t been getting late and looking like rain I’d have walked down the path to Realp which is the first village you come to on the Andermatt side. Vast but green and smooth slopes had replaced the soaring crags and jagged edges of that morning. Judging by how long it took the bus to reach Realp, I think that maybe it was a good idea not to walk. Realp is a charming village surrounded by pastures in a valley of such verdant greenery that it could be a Scottish Glen. There is a golf course by the village though there doesn’t appear to be much level ground to play on Realp is also the start point of the Furka Dampfbahn and the distinctive smell of steam engines is in the air. I arrive at Andermatt in the rain. The weather though takes away none of the charm of the place and I am glad I have paid it a visit as I head off from the station to find my hotel. 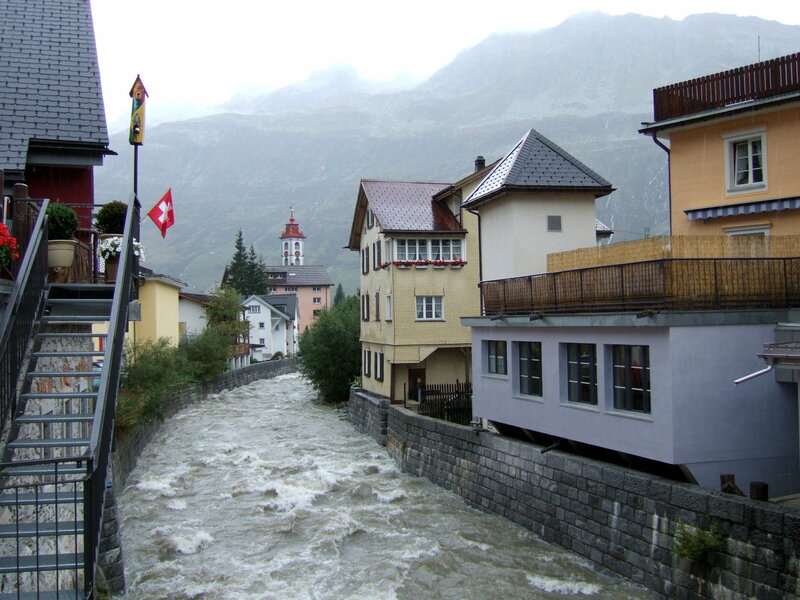 Andermatt sits at an altitude of just over 1400 metres or about 4500 feet in the valley just north of the St Gotthard Pass – one of the main routes across the Alps from Lucerne and Zurich to the North and the Swiss canton of Ticino and Italy to the South. I wander along the Gotthardstrasse, the town’s main street, passing my hotel and crossing a stone bridge over the river. The narrow cobbled street leads between medieval type buildings that called to mind Central or Eastern Europe rather than the Alps and everywhere I look there are wooden or plastic statues of bears. These are the emblem of the area and as I reach the edge of town near the Gemsstock cable car there is even a bear sat on a motorbike outside a garage. I guess they’re more original than the plastic cows more often seen in Swiss resorts. 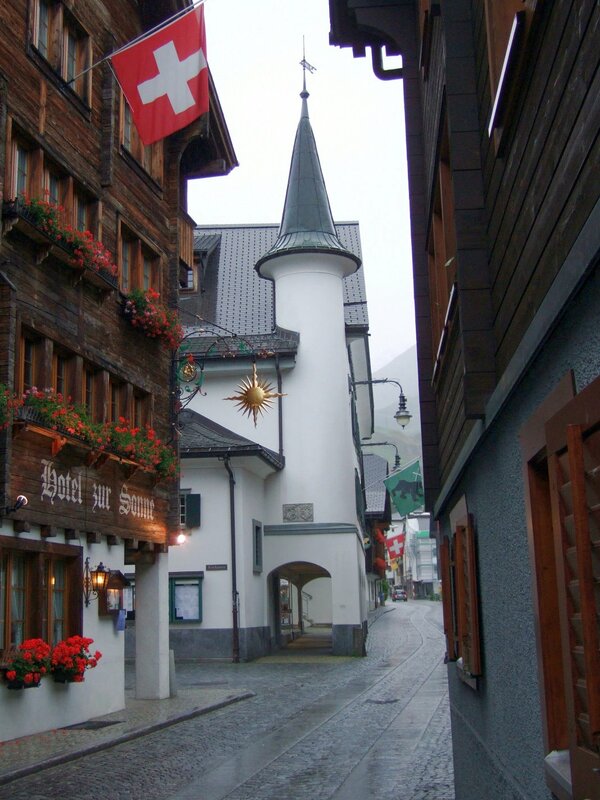 Andermatt though, despite having plenty of hotels appears to have escaped the worst of the commercialism that has overtaken some Alpine towns. Ahead the road continues out across damp meadows dotted with farms towards the Gotthard Pass. The higher mountains above are hidden by lowering cloud and I turn around and make my way back through the wet streets to my hotel in a happy mood as evening draws in. Have you ever heard of a bittgangglocke? No – neither had I until now – it’s actually a small bell that’s made in Realp which I’d passed through earlier. I’m also now familiar with the Landratsglocke and the Schwingerpreis which resembles a cowbell though I think is intended for use by the Swiss equivalent of Morris Dancers. As for the Pferdegelaat with its leather tassels I can’t even begin to imagine an occasion where it would be used and I’m not at all certain that I want to! In case you wonder, my evening walk was rained off and I got only as far as the shop. Three cans of Lowenbrau later I am studying the poster entitled Uri Klangenreich on my hotel room wall which I suppose goes to show just how good German beer really is. This entry was posted in Hiking, nature, outdoors, Switzerland, travel, Uncategorized, writing and tagged Alpine Passes, Alps, Andermatt, Europe, hiking, holidays, mountains, nature, outdoors, photography, Rhone, rivers, Switzerland, travel, vacation, walking, writing. Bookmark the permalink. 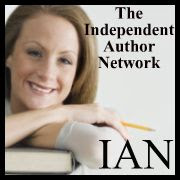 Thanks for reading – I’m pleased you like my posts. I make my living writing, but I am not nearly as good as you. I’m not sure I would have the focus to do all the homework you’ve done on this topic. This is great. I will certainly do a link to https://petebuckley.wordpress.com/2011/05/15/wandering-through-switzerland-grimsel-to-gotthard-day-one/ on my site. Hi – this post was just me writing about the trip so I didn’t do much extra research for it. Thanks for the compliment though! Thanks. It was a good trip this one – despite the rain! Thanks for the comment – glad you liked it!